Sorry for the light blogging week! To make up, here's a bit o' pretty purple for your Friday, my lovelies. Aren't these pretty? 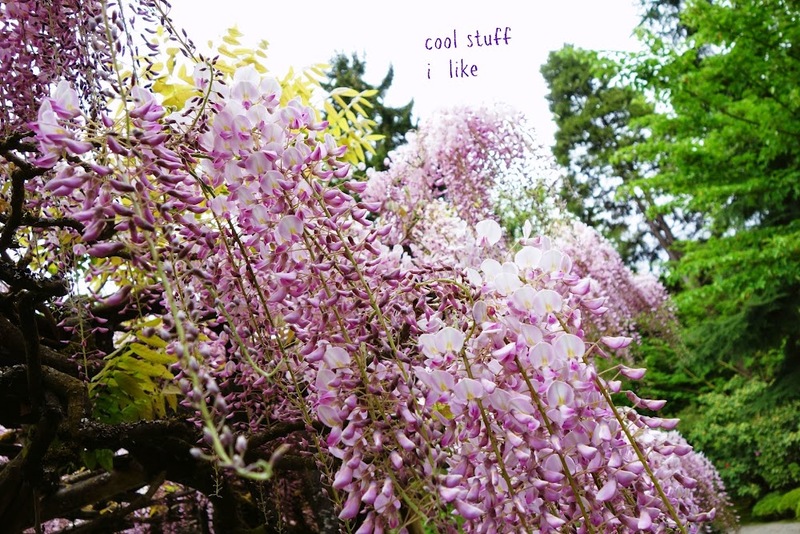 We took a stroll, or a wee JAUNT, if you will, through the Japanese Garden in Seattle last weekend. I'll show you more pix next week. And in other highly compelling news, we are now on Week 2 of Sally & Rosebud's All Day-Every Day Great and Exciting Bird Watch. They are losing their minds. I honestly don't how these cats can take any more of this. They chatter. They fling themselves at the window. (i foresee one of them going OUT through the screen...) They don't even bite my hair asking for their dinner, like they usually do, so enthralled are they by the magical bird window. Speaking of cats, you all saw THIS right????? That cat is a superhero. Baking, A Love Story now has an Etsy shop! Mother's day is over, but I just saw this a few days ago, from a pal on Facebook. Beautiful post, amazing looking book. LOVE these star charts! I've been wanting something like this for ages. New for summer at Magic Cabin. Cool Book of the Week: So I have some new friends at the University Bookstore in Seattle, and can I say, wowza, they have a parade of author events at that store! One big name after another. Readings, book signings, and general book & author hangout awesomeness. On Friday May 23 at 7pm, some heavy hitters in the YA field (Kevin Emerson! Kiera Cass!) are going to be at the Seattle store reading excerpts from their books and signing copies. 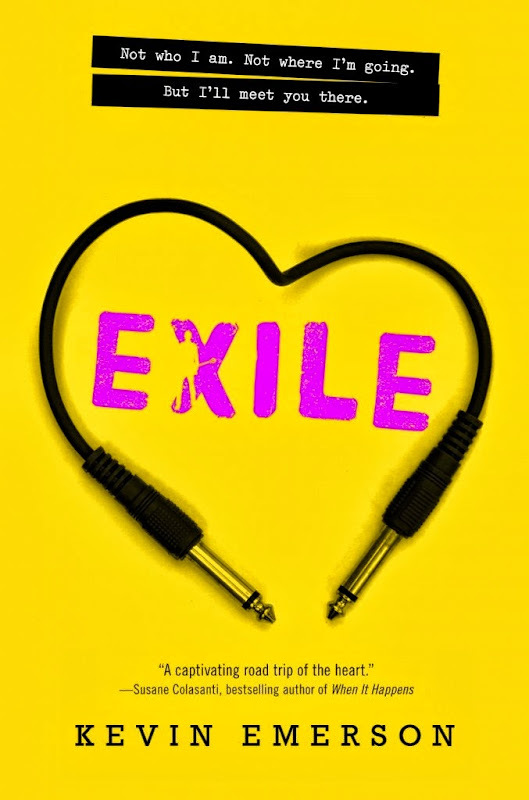 I scored a copy of Kevin's newest book, 'Exile', which covers the romance between a young band manager and her lead singer. (This sounds like a show on the CW that I would totally watch.) I've not read Emerson's material before, but when someone puts a new YA book in my hand that's been touted as being as cool as the much-lauded 'Eleanor & Park', do you say no? YOU DO NOT. #YAfiction4ever! Have a lovely weekend! My neighbor let me cut some of her lilacs. Spring happiness achieved. I am so jealous of your lilacs - ours are still nowhere near to blooming. The story of your bird-watching cats makes me laugh, because I can picture it. Cats are crazy-cool. That was the best cat video on the internet. Holy cow. And oh my goodness, thanks for the love! you are welcome, welcome, welcome! and can you believe that CAT? like a rocket!! amazingly awesome. Tara the Hero! That video has been very popular in our house. We were deciding which of our cats would be most likely to save someone. Jenny, we think, although she's too old and fat to be very fast. Junkaholique looks fabulous! I'll definitely spend some time checking it out. Thanks for the link love. Magic Cabin has some wonderful stuff! I loved that post of Amelie's, and the girly glamping nursery stuff is so cute. I have a little stack of YA books to get through soon, although I need to read Gone Girl and get it back to the library first. Have a wonderful weekend! we've been pondering on this issue as well, and are not at all convinced that Sally or Rosebud would do a darn thing. I need to read Gone Girl!! You find the most amazing websites. Seriously, I think I'll be spending some of my weekend reading the junkaholique blog! Have a fantastic weekend Melissa! I did see that. Greatest cat on the planet. Can someone give him or her an award please?! I want a glamping room!